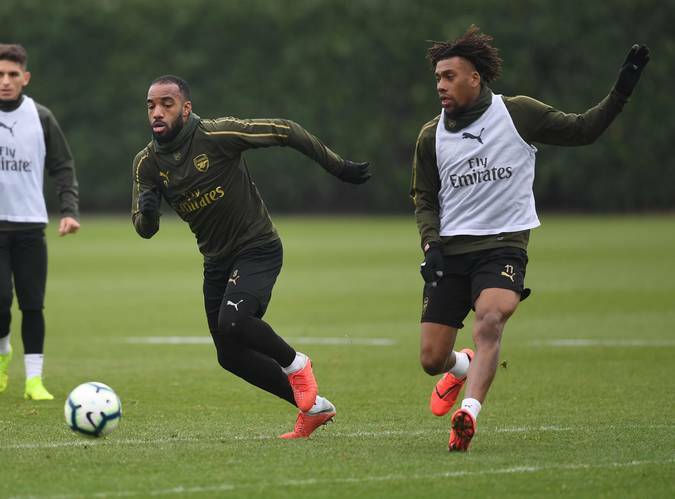 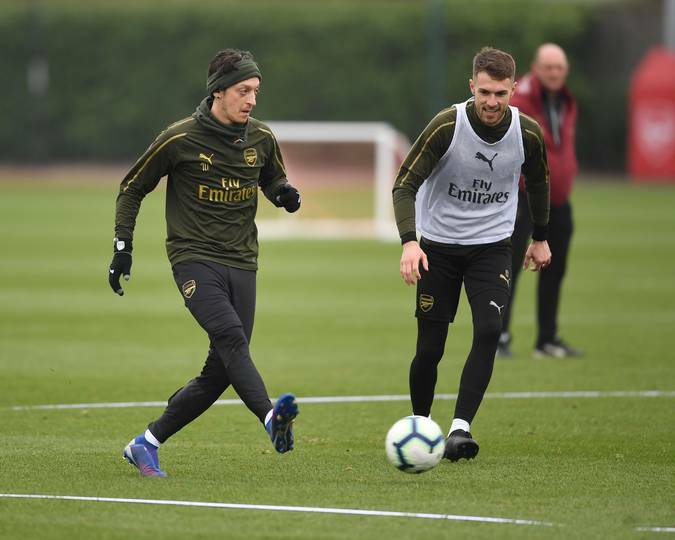 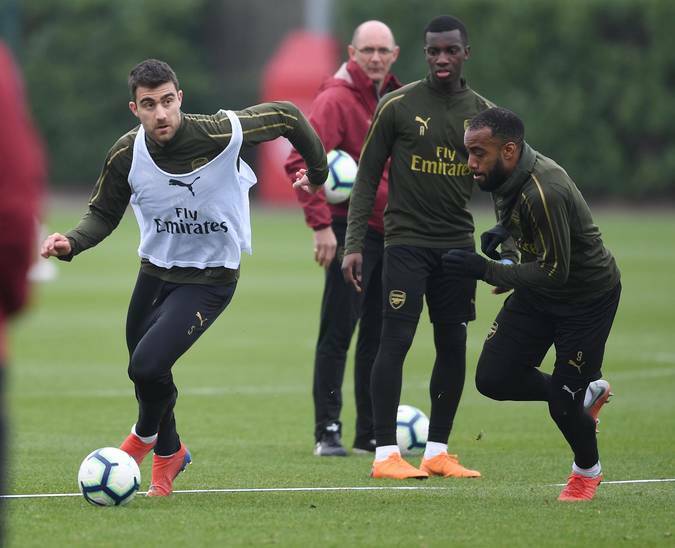 The Arsenal first team put finishing touches to their preparations for Saturday's North London derby at the Wembley Stadium. 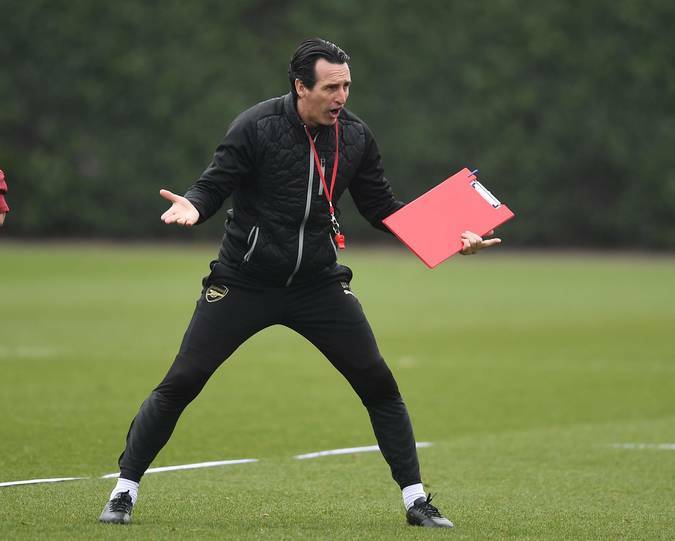 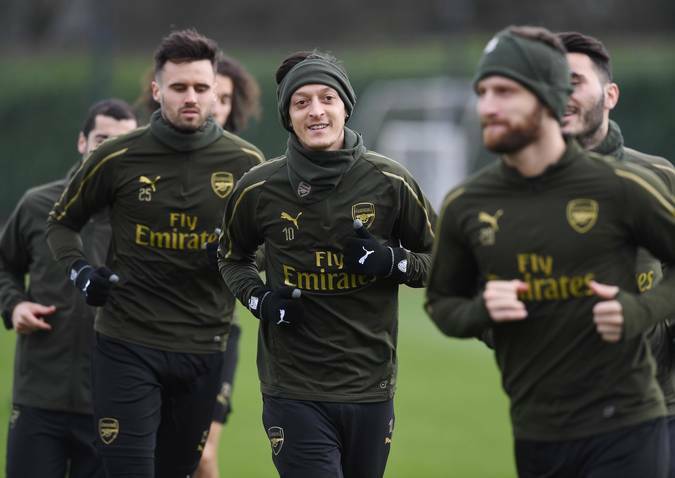 Having claimed all three points from their last Premier League game, the Gunners will be hoping to secure victory over their arch-rivals by lunchtime tomorrow. 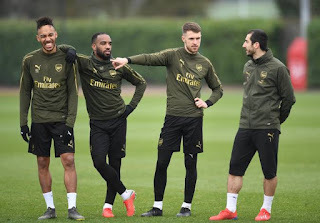 They sit just four points adrift Mauricio Pochettino's side who have lost their last two games which were against Burnley and Chelsea respectively. 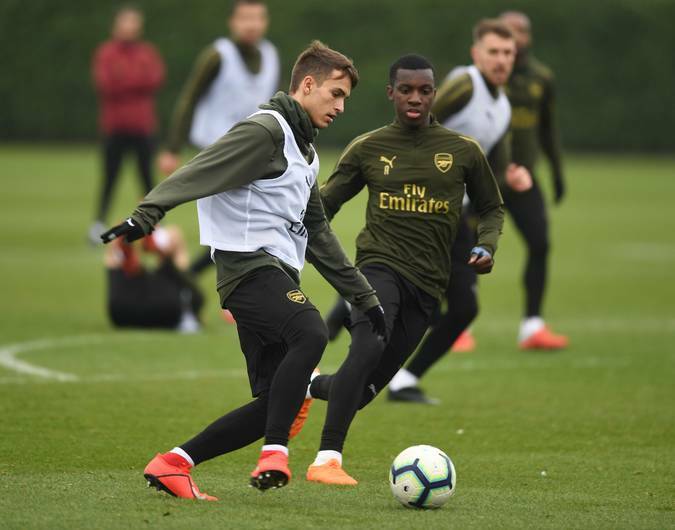 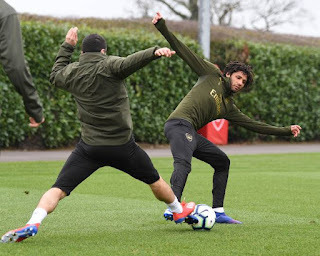 To ensure that they go into the encounter in good shape, the coach put the boys through a series of tasks at London Colney and below are some pictures from the session. Arsenal won 4-2 in the reverse fixture last November and have the chance to pull a double over their neighbours for the first time since doing so in 2014.